Food is culture. This is especially true in a food-obsessed country like Japan where the national cuisine uniquely reflects the natural environment, regional diversity and underlying value system of this resilient country. If you were to think of your ten favourite Japanese dishes what would they be? Your list would likely include sushi and sashimi. You might also want to add tempura, sukiyaki, shabu-shabu and teppanyaki. In Japanese cuisine, the main course is accompanied by a bowl of rice and some pickled vegetables. No Japanese meal would be the same without miso soup. And then there are the noodles such as udon, somen, soba and, of course, the popular ramen. Along with your meal, it is recommended that you try a sake — sweet or dry, warm or cold. How about some seasonal fruits like kaki (persimmons), peaches or those amazing apples from Aomori? To finish off, you could enjoy Japanese green tea with traditional wagashi sweets. Japanese food, especially the traditional diet of fish, vegetables, fermented foods and rice, is defined by both its healthy properties and overall quality. In any big Japanese city, if you visit the basement of a local department store (called depachika — a compound of depa which is short for depaato or department store, and chika for basement) you will be entering a food market stocked with an impressive variety of fresh and wholesome foods. Given the huge variety available, the Japanese eater is stuck for what to choose. But the future of Japanese food is uncertain. No, it is not just the shift to a Western style diet of steaks and hamburgers, although that is an important factor. The challenges facing Japan’s future food supply are complex and appear intractable. Along with changing consumer preferences for more foods not traditionally considered Japanese (e.g., pasta and wheat for bread), the dire state of Japanese agriculture is one of the primary drivers of this problem. To explore what these figures mean, in 2008, a journalist from the Yomiuri newspaper tried to live (link in Japanese only) on around 40 percent of the average daily per capita consumption, which is equal to 2,548 kilocalories. Over a two-day period he ate only the equivalent of 996 kilocalories in order to experience what might happen if all Japanese food imports were stopped and people had to rely only on what was available locally. While this experiment was critiqued by some, the lesson was simple. 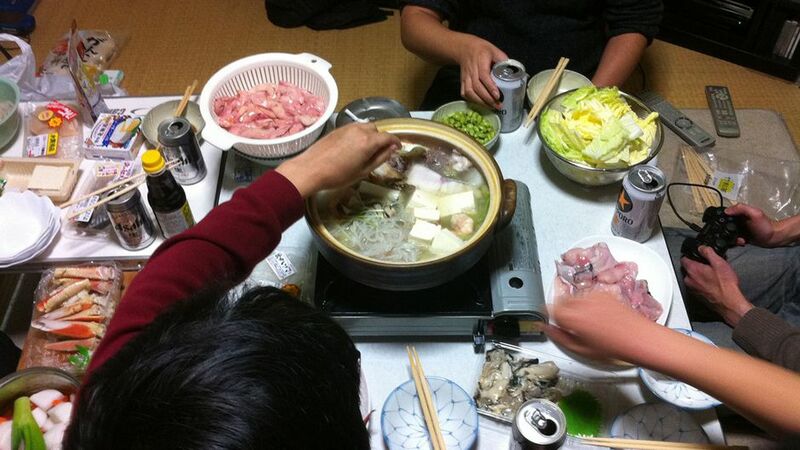 The modern Japanese healthy diet cannot be maintained without the import of large quantities of food from overseas. The government’s response is to try to raise local food self-sufficiency to 50 percent by 2020, but so far the situation has only worsened compared to 2008 when food self sufficiency was 41 percent. Farming is hard work and it is unclear who will replace the current generation of farmers when they retire as the farm is not, on the whole, a career destination for young Japanese. Consequently, the amount of food produced in Japan is in steady decline and the amount imported continues to increase. By far the largest quantity of imported food comes from the US, followed by China and Australia. The top three imported commodities are soybeans (traditionally consumed), and wheat and maize (not traditionally consumed). The latter’s inclusion is a surprise given that you will not find a lot of maize products (corn, corn flour, etc.) on a Japanese dinner table or in a Japanese supermarket. However, figures from 2006 reveal that 66 percent of corn imports are actually for livestock feed, reflecting the country’s aforementioned increasing taste for meat, and accounting for much of the “virtual water” transferred from agricultural export countries and to Japan. Another bottom-line being that this affects Japan’s balance of payments, especially when commodity prices increase. Back in 2008 when oil prices spiked at US$147 per barrel, there was concern in Japan about a related food price spike (hence the experiment by the Yomiuri journalist). Various commentators have shown the clear links between oil and food prices. Food price spikes are a major concern primarily for developing countries where millions of people can be forced into difficult circumstances and, in some cases, resort to rioting in the streets as they have previously in countries like Mozambique and Egypt. Meanwhile, citizens in wealthy countries like Japan, have a much greater capacity to absorb higher food prices by searching around for discount opportunities, changing their diets or sacrificing other, less critical, consumables. Back in 2008 about the worst thing that happened was a butter drought. More recently in 2011, in light of the March 11 disaster, certain foods like yoghurt and natto (fermented soybeans) became scarce when energy saving programs threatened the constant supply of electricity that ensures a hygienic, cool environment. However, the food system overall had the capacity to provide people with food during a time of crisis. Even so, could there be a limit or a kind of tipping point, either oil-price or disaster-induced, beyond which the impacts can get considerably more serious? One concern is how import-dependent Japan might cope with the advent of the peak of oil production and a possible oil price crunch. Paul Stevens at Chatham House, one of the world’s leading think tanks, argued in 2008 that an oil crunch could occur when the oil price goes over US$200 per barrel with severe macro-economic impacts. A subsequent 2010 report by Lloyd’s of London and Chatham House argued that this crunch could happen as early as 2013. While other reports place the peak of world oil production at a later date between 2015 and 2020, the timing is academic when considered in the context of whether Japan would have the time to respond effectively in terms of reorganizing its entire food system. Boys himself refers to the work of Eisuke Ishikawa, a writer on the Edo Period economy, who talks about the state of Japan in 2050 and essentially describes something like a “slow crash” — dwindling imports, falling exports, economic and population decline. While the literature on the impacts of peak oil in Japan is limited (almost non-existent), this topic was addressed in relation to food security back in 2000 by Antony Boys in an thought-provoking paper entitled “Food and Energy in Japan — How will Japan feed itself in the 21st Century”. Boys’ argument was that energy use is central to any agricultural system both on-farm (machinery) and off-farm (transportation), as well as to agrochemicals derived from petrochemicals. Hence, if energy becomes scarce, as in a peak oil scenario, then agricultural productivity may decline while at the same time the cost of importing food increases. Cropping ratio could be expanded by 1 percent per year, up to 140 percent (the maximum thought sustainable in Japan). Arable land area could be expanded by 20,000 ha per year, up to 6.1 million ha (the historical maximum). Population would continue to fall according to the current median or low projection scenarios. Yields would be maintained while the transition to low-input, sustainable-recycling organic farming is carried out in an organized and orderly fashion over the first two to three decades of the twenty-first century. Forest areas would remain at their current level, or are expanded slightly, and would be managed sustainably and conscientiously. He argued that it would take around fifty years for the population to fall, and arable land areas to rise to where they were in 1950, at around 0.09 ha per capita. In his words, this “population to arable land ratio would be survivable, if not comfortable”. Another study by Toshiki Mashimo on behalf of the Consumers Union of Japan published in 2008 argued that quick food self sufficiency gains could be made if attention was focused on consumption patterns — i.e., reducing meat intake, promoting local production and local consumption, reclaiming abandoned farmlands, etc. — rather than focusing simply on supply issues. Mashimo argues that Japan has the potential to raise its self-sufficiency rapidly to a healthy 75-80 percent but at the same time his paper does not address the question of how this can be done — i.e., what kinds of policies and measures would be required to influence consumption patterns? For the majority of Japanese people, the notion that their country faces the equivalent of a prolonged food security challenge might be something that they would not readily acknowledge. Perhaps a better description would be to borrow the term from James Howard Kunstler to describe our collective future — a “long emergency”. Basically, the food self-sufficiency scenario in Japan could be better right now than we can expect it to be in the foreseeable, oil-dependent future, given the massive demographic shifts taking place. The changes Ishikawa describes are daunting and made more so when account is taken of the other major problems facing Japan at the moment in terms of the extent of public sector borrowing and sluggish economic performance. On top of it all, the Japanese public also has to deal with the consequences of the Fukushima nuclear accident and the potential radioactive contamination of parts of their food supply. For a country that loves its food as Japan does, it is rather daunting to visit the website of the Ministry of Agriculture, Forestry and Fisheries and see various news items referring to the radioactive contamination of food and the results of inspections. According to the New York Times, it has proven difficult to control to spread of radioactivity into the food. More recently, journalist Suvendrini Kakuchi quoted a September 2011 estimate from the Asahi newspaper that “an area of more than 8,000 sq km had accumulated cesium 137 levels of 30,000 becquerels per sq metre. Concern about potential radioactive contamination of food has led consumer groups and farmers to set up their own radiation monitoring centres. One example is the Citizen’s Radioactivity Measuring Station in Fukushima Prefecture that provides data on ambient radioactivity levels and on food contamination. The Consumers Union of Japan, furthermore, has been lobbying the national government to try to get the radiation limits, which are considered too low, raised in line with international standards. While the impact of the Fukushima nuclear accident on Japan’s food will take some time to play out, what is clear is that another nuclear accident elsewhere in Japan would completely undermine the already fragile state of food security here and shatter what brittle consumer confidence remains in the local food supply system. In this context, it is important to recall that Japanese scientists are predicting that there is a 70 percent chance of a magnitude 7 quake hitting the capital region in the next four years and there are concerns about the safety of the Hamaoka nuclear plant in Shizuoka Prefecture (200 km south-west of Tokyo) should it ever begin operations again. So what is to be done? Clearly Japan needs the equivalent of a food and agricultural revolution if it is to feed itself in the future. This needs to begin with an open and transparent elaboration of the actual extent of the problem so that the general public can understand the issues involved. Japan’s technological prowess may allow it to buy time through the introduction of various innovations such as high-rise urban farming or indoor food factories. The idea here would be to use every possible space for food production. In some quarters there is interest in shifting agriculture in Japan from predominantly small holdings to large scale industrial agriculture and larger farms. However, this brings with it familiar problems — especially if these larger farms are machinery- and energy-intensive. There are others who point to the possibility of Japan’s traditional knowledge around the conservation of the socio-ecological production landscapes (satoyama) as a way to ensure food production and the conservation of biodiversity. However, it remains unclear whether the food needs of the population of the Japan’s huge urban centres can be accommodated by such approaches. As one expert has argued, drawing on the sustainable ideas of the past to save Japanese agriculture will also require a conceptual shift in thinking towards truly green, local and innovative approaches to food production, distribution and marketing. What are the prospects of the Japanese Agriculture (JA) co-operative system that represents at its core entrenched, rural political constituencies such as the countries highly subsidized and ageing rice farmers, transforming itself to creatively embrace high rise urban farming? Ignoring technological innovation for one moment and focusing on social changes, perhaps part of the answer may be found in the Transition Movement and its emphasis on growing food locally. In Japan, the movement has grown considerably in recent years and is exemplified by self-sufficient communities like Konohana outside of Tokyo that prove that local, sustainable agriculture can be a reality if the right ingredients of community commitment, traditional knowledge and general good organisation are mixed together. But again, the success of this movement has been at the town and community level, rather than in major cities. There is also an interesting idea in Japan of the future professional who is “half-farmer/half-X”. It is an attractive idea and one that has resonance with increasing numbers of young people today. But there’s a difference between aspiring for a romaticised farm-based lifestyle and making the transition in a tough and often uncertain global economy. It is doubtful whether such ideas have the potential to take-off on a wider scale and for now they remain the experience of a small group of young professionals or the fashionista farmers from Tokyo. While some commentators (ourselves included) may hope that a seemingly difficult reversal in Japan’s food and agricultural trends takes place through initiatives like those mentioned above, those who have traditionally exercised power in post-World War II Japan have, for several years, made their own moves to deal with a potential long food emergency. At the other end of the world in land-rich Australia, Japanese giants have acquired major companies: beer-maker Kirin bought out of Australia’s largest dairy company and competitor Asahi was more recently involved in its own huge takeover. Even more interesting is the decision of one of Japan’s most prominent tea-making companies, Ito-en, to make a heavy, risky investment years in advance to set up a tea-production facility in the state of Victoria. If this plan works, Ito-en will produce iconic Japanese green tea for the Japanese market and therefore fill a predicted gap in the country’s own production capacity down the track. These, some would argue, fore-sighted investment strategies, make sense on a business level given that Japan’s domestic food market will surely start shrinking as the population shrinks. People can only consume so many meals and drinks in a day. Sensible companies should seek new markets before old ones decline. Comprehensive research is required to consider the true extent of this trend into the future and at a global level. But given the close links in the past between the Japanese bureaucracy and the country’s corporate elite in the Keidanren organisation, one could easily assume that these corporate manoeuvres reflect, unofficially at least, a policy to shore up Japan’s food security, even if the foods themselves are produced overseas. In other words, analogous to the global phenomenon of “land grabs” where foreign nations are buying huge swathes of land particularly in Africa to grow food for their own populations, even if a country’s food self-sufficiency ratio is low it may still have the capacity to feed itself. A declining Japan with companies expanding overseas would, at the very least, be more food-secure having its own corporations in positions to control food that it will import by necessity. What Japanese firms buying up companies and land overseas and commencing foreign operations does not ensure, however, is a de-coupling of food prices from the global oil price. In Japan, as in many food-importing countries, only locally oriented, sustainable agriculture can do that. The question is can “green” approaches to food production attract the necessary labour in light of the country’s declining demographics and economy and the increasing pressures of “race-to-the-bottom globalization”? Earlier in 2012 the Japanese government announced that by 2060 the population of Japan will fall to 87 million (from 125 million), but that 40 percent will be over the age of 65. At that point, for every single person in retirement there would be only one person working to support their pension payments. As a result, there is growing concern that the notion of retirement age is going to become a thing of the past. If we project forward to 2060, the future for Japan could be that grandfather and grandmother will still be working and everyone in your family will be ‘half-farmer, half X’. If we look to the past for lessons, reflecting on the writings of Eisuke Ishikawa, living in Japan now must feel close to how people felt as their society transitioned from the Edo era (feudal society) to the Meiji period (modern industrial) from 1868 onwards. Times of great change cause uncertainty and public concern. Fortunately Japan’s history has shown that the Japanese are capable of adapting to dramatic changes. There lies a small hope that the country will find an appetite to transform its culinary preferences towards a more local, sustainably grown and non-fossil fuel dependent food production system. But, more likely, that may not happen until all other possible options have been exhausted. Sadly, we probably have to wait for political and corporate leaders of Japan to become convinced of the need to shift away from the reliance on the global food system based on the availability of cheap and plentiful energy. Unfortunately, they may only reach such a conviction after they witness the system break down. An outstanding essay – impressively comprehensive and soberingly realistic. Just what I’ve come to expect and enjoy about OW 2.o. Many thanks for this! This article reminds me of how vulnerable the logistics of food industry is to oil import. Likewise, I was reminded of how much we have immersed ourselves in the abudunce of foods. It’s not that whether we can adjust ourselves to drastic changes of our food consumption patterns, but what if our food supply chain suddenly stop functioning. Post-Fukushima era has seen some restaurants and food manufactures changed their supply chains from Tohoku to other places. Other restaurants that could not adjust to the changes shut the door. The upcoming Trans Pacific Strategic Economic Partnership (TPP) may further increase the vulnerability while diversifying the logistics of foods. This issue should be taken into consideration upon negotiating the treaty. Lastly, I presume a year after the 3.11 crisis that most Japanese are ready to face the reality: we must share the burden of radioactivity in the food. The risk and toll may vary but we all must accept albeit implicitly the new normal life. Some may find this view is suppressive but this is the best and only thing we can now do to pray for the lost souls. An excellent, well-researched and informative article. Very sobering! Sorry pal the price per barrel of oil today is below USD 60.00 and may head down to USD 45.00. Also, LNG is going to be exported using U.S. natural gas. A plant is already in operation in Baja California, Mexico. Another plant may be built on the mainland of Mexico since a gas pipeline is being built from Arizona down through the Mexican states of Sonora and Sinaloa. Hi Harry, not sure what you point is exactly. If you follow what is going on with oil prices then you will understand why the prices have fallen recently. But the expert commentary is that this is a temporary phenomenon. For instance, check out this article from the BBC – http://www.bbc.com/news/business-30531829. The article mentions the former high prices of oil. Oil is not going back up soon due to the high production in the U.S. This production is not going to drop but increase. My point with mentioning LNG is that instead of using oil which now fire many Japanese electrical plants, they will be purchasing LNG from the U.S. LNG costs about 1/3 that of oil. The BBC is hoping it will go back up but sorry it is not. Also, with the U.S. exporting LNG, that will replace oil for firing electric generating plants in Europe and in Latin America. Mexico is set to import natural gas from the U.S. to use it for running its electrical plants rather than oil. The pipelines from the U.S. are being constructed from Texas south and from Arizona south. There is already a LNG plant using U.S. gas in Baja California. There is also a LNG plant being built in Louisiana to export LNG to Europe. PEMEX is talking about a JV with a U.S. company to export LNG from the pipeline from Texas to Europe. OK, I understand where you are coming from. There is a lot going on with regards to an explanation of why oil prices are falling right now, including the high US production levels and the state of the global economy, plus some geopolitical reasons as well. This current chaotic situation is certainly creating a lot of uncertainty. There are many who see LNG as a bridge to a sustainable energy future. I am not one of them.